The Community Foundation in Prince George’s County has launched a new initiative to strengthen relationships between local individuals, businesses, and nonprofits. Each year, our donors and other community members join us in visiting several local organizations, to celebrate, support, and learn more about the important and diverse work happening across the County. It is our hope that building strong networks between our donors and effective nonprofits serving County residents will enhance the philanthropic experience and grow positive community impact. Computer CORE is a job training program that offers technological and professional skill-building courses for low-income adult residents of Northern Virginia to improve their careers and transform their lives. During a site visit to one of the organizations many locations, Executive Director Lynn O’Connell and Business and Community Partnerships Director Quincy White taled to us about the program’s successes, its challenges, and invited donors to sit in on a beginners excel class and interact with students. Our donors gained a deeper understanding of Computer CORE’s mission and values. Many of their questions were answered and the experience promoted program advocacy in a new way. plans and reduce harm. Program Counselor Asjoure Brown engaged donors in a simulation activity called “In her Shoes”, introducing some of the challenges faced by victims of domestic abuse. We discovered the complexities of this type of work and the diverse way in which cases are handled. Attributing all we learned, we can consider realistic program practices when evaluating outcomes and impact. The overall experience was rated both informative and meaningful. The Community Foundation in Prince George’s County will begin touring other nonprofit sites starting in March 2018. Get ready to explore a variety of nonprofit organizations working on a diverse set of issues, including affordable housing, education, criminal justice, family and youth support, media projects, and much more! 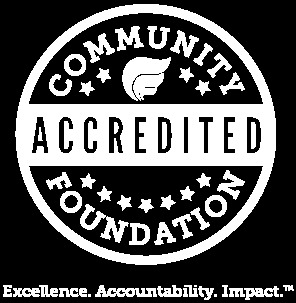 If you are interested in attending one of our site visits, please contact Monique Riley at mriley@thecommunityfoundation.org or (301) 918.8480 ext. 164.